Have you heard the exciting news? Keystone Resort’s renowned A51 Terrain Park has been nominated in USA TODAY’s 10Best Readers’ Choice contest for Best Terrain Park in North America. Voting is now open to anyone who would like to partake, and participants can vote every day until voting closes at midnight on Monday February 8th. But, before you start clicking away to cast your daily votes, let’s do a quick review on why Keystone’s A51 Park is the greatest park in the U.S.
A51 is one of the biggest terrain parks in the country. More than 100 features are spread out across 60 acres of freestyle terrain, which calls for its park-specific lift to provide quick and easy access to A51. This park is known as a great progressive park, where beginners can learn and develop their skills on Easy Street, enhance their skills even further in the intermediate areas of Park Lane, I-70, and The Alley, and finally show off their professional talents at the advanced Main Street location. The best part, stated by A51’s terrain park manager Kevin Laverty, is that all of these locations sit in one big bowl at Keystone. 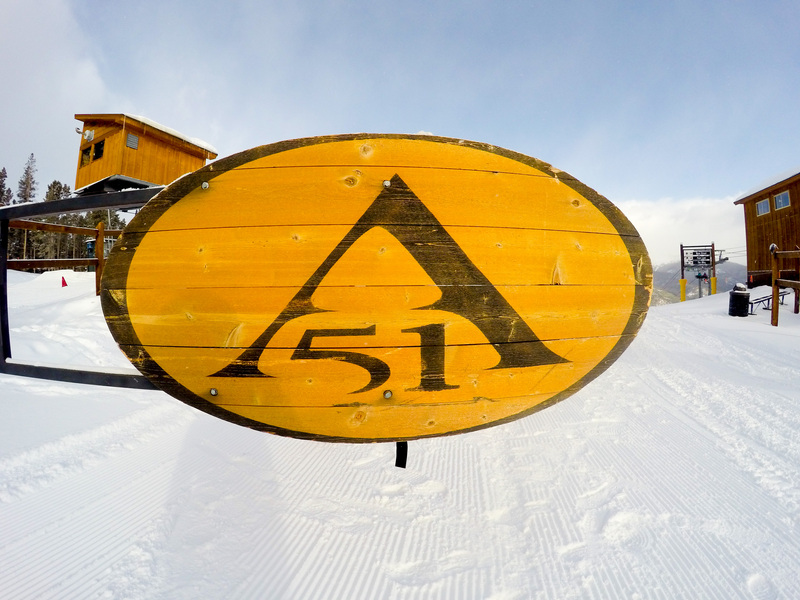 Many terrain parks require you to traverse across the mountain and travel to different peaks to move from the beginner park runs to the more advanced, but A51 provides all of its freestyle terrain in one location. 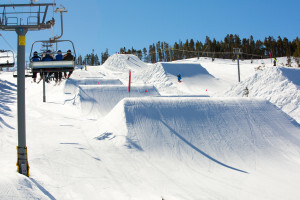 The A51 Terrain Park is famous for its unique features and has been honored with numerous awards, including 2016’s #3 Terrain Park by TransWorld SNOWboarding Magazine. A51 provides features and paths for every skill level. Beginners can find their technique and balance on flat boxes or tables, and as their ability grows can master a variety of rails, tubes, and jibs. There are a ton of professionally-constructed jumps that range from a foot or two at the beginner sites to the massive jumps on Main Street that reach over 70 feet. 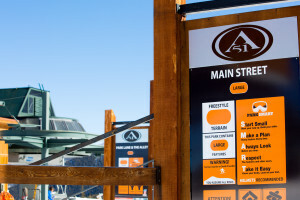 All of A51’s features are built to meet the professional and pristine requirements of its guests, and they are constructed by skiers and riders who ride the park. 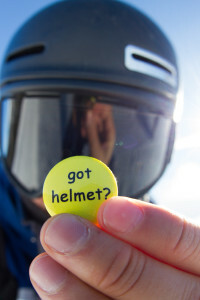 When it comes to freeskiing and slopestyle, the sport is by the people, for the people. 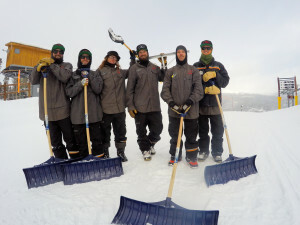 The A51 crew is made up of many employees who have previously worked at top ranked parks. They test the features in A51 every day, and they are all encouraged to brainstorm and share new ideas for park features and set ups. A51 park employee Walker Lutz mentioned that they use a free drafting program called Google SketchUp to help design the jumps and features in the park. He also showed a thick binder full of pages and pages of creative sketches, created by A51 employees, of new additions to the park, “It’s cool when you get to see your ideas created,” said Walker Lutz. The A51 employees also value feedback from their guests. They receive a lot of great ideas for features and set ups online and in person, and they are happy to carry a lot of them out. The newest addition to A51 is a 15-foot minipipe. This pipe is purposefully constructed to have a mellow incline while riding up its walls making it a perfect learning space. It was built to be user-friendly and to welcome beginner and expert pipe riders alike. The pipe is located in Lower 1-70, and it is viewed by many as the perfect addition to A51’s famous fun and friendly vibe. If you would like to support the A51 Terrain Park in this national contest, VOTE HERE!